So I finally got a chance to meet up with the good time gang and embark upon a nice little riding adventure. My Dad came with and we both had an awesome time. I did have a couple of quick intervals to get in today, but after I got done with the intervals I came back to ride with my Dad and Frankz. We had a lot of laughs and fun. I really enjoyed the course that they ride as well. It had a lot of false flats and long climbs. With that said I think I have decided that I will start riding in Kansas a bit more. There’s just better climbs and better headwinds to train with; it will just turn you into a beast of a rider. I’m getting closer and closer to summer I can almost taste the summer breeze of riding in freedom again its going to be so much fun, plus longer rides means better training. I’m going to start riding with my teammate Kenny a ton this summer too. One of the benefits will certainly be that we will be able to teach each other and help each other become better racers. As for tomorrow I have a pretty easy ride with no intervals So I will definitely be enjoying the wonderful weather we’ve been having. 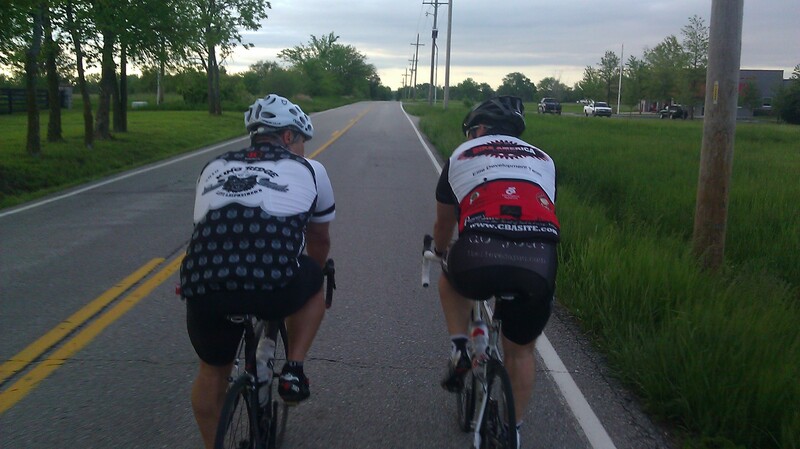 ← Kent Woermann & Andrew Lyles Already Took Advantage Of Motor Pacing Today- I’m Super Jealous!